As I’ve said on this blog many times before, I like cooking but I don’t claim to be particularly good at it. 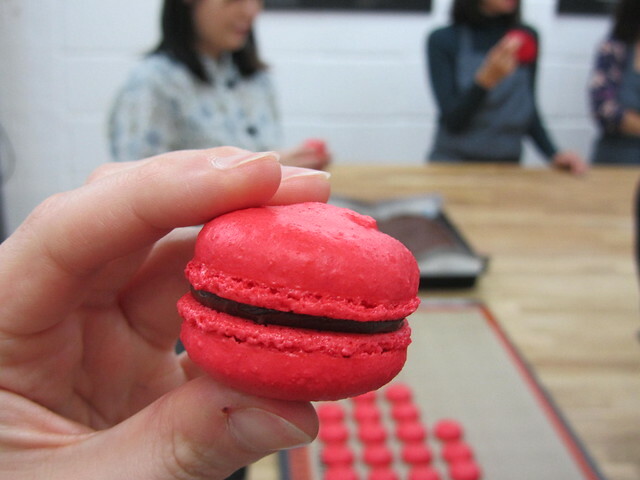 So, when I was invited to participate in a macaron making class at On Cafe’s On Cookery School, in South London, I was hesitant that I would fail, but hopeful that I would learn something. 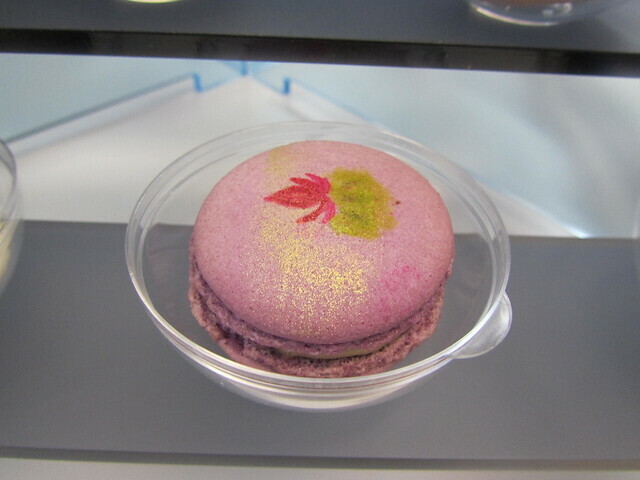 First, I want to make sure everyone knows what a macaron is. When I told people I was going to make macarons, most thought I meant macaroons and hadn’t heard of the French confection. 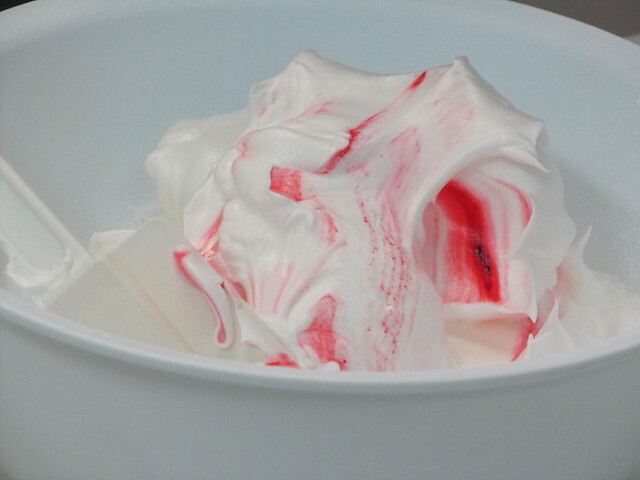 So, now that’s cleared up, I bet you’re wondering why I’m talking about French confectionery on a blog about Japanese culture. 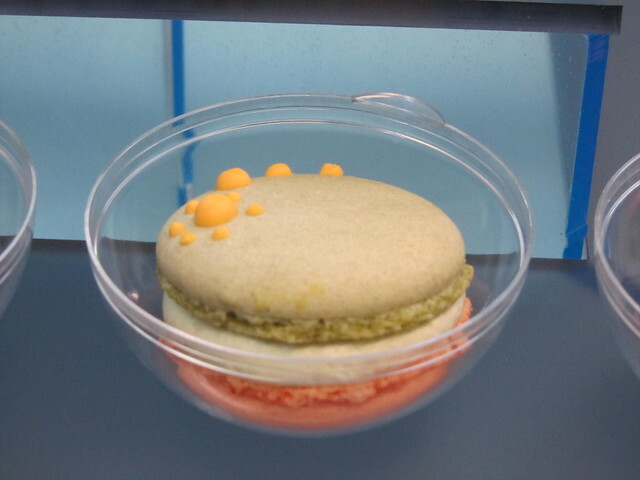 Well, it was in Japan that I first heard of macarons. They’re hugely popular there, and are known as マカロン (makaron). In fact, when I first discovered them in Japan, I thought they were Japanese, because the flavours I found were typical Japanese flavours such as matcha (green tea) and sesame, and they seemed to fit in so perfectly with Japanese wagashi (Japanese confectionery). In addition, On Cafe, which uses the kanji 温 in their name to represent ‘warmth’ and ‘family’, believe in the ability of food to bridge cultures and strengthen relationships. The food at On is made in the traditional French style but updated with the best of Japanese/Asian flavours, style and elegance. Actually, I first came across On Cafe at Hyper Japan last year, and am delighted to hear they’ll be back for Hyper Japan 2012 Christmas coming up later this month. 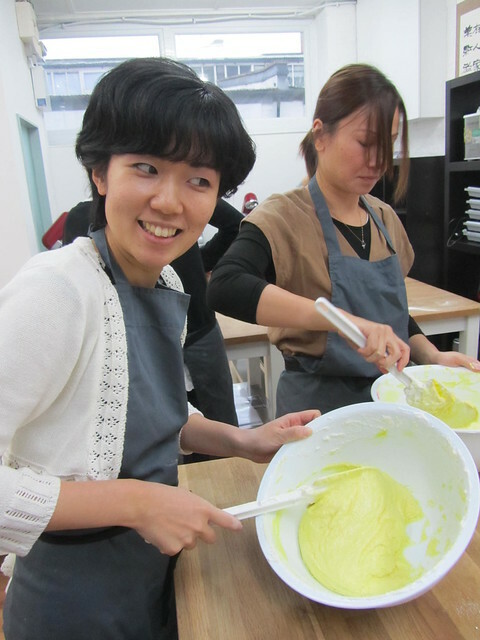 I instantly felt like I was on a cookery show on TV, but luckily the teacher, Head Chef Loretta Liu, was really friendly and put us all at ease. 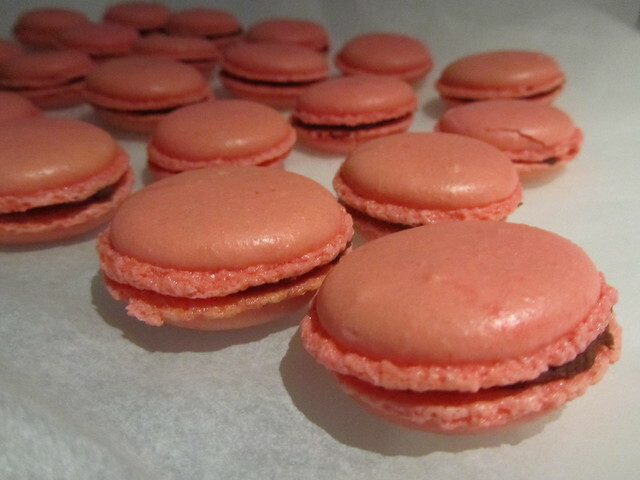 The macarons we made used a French meringue. 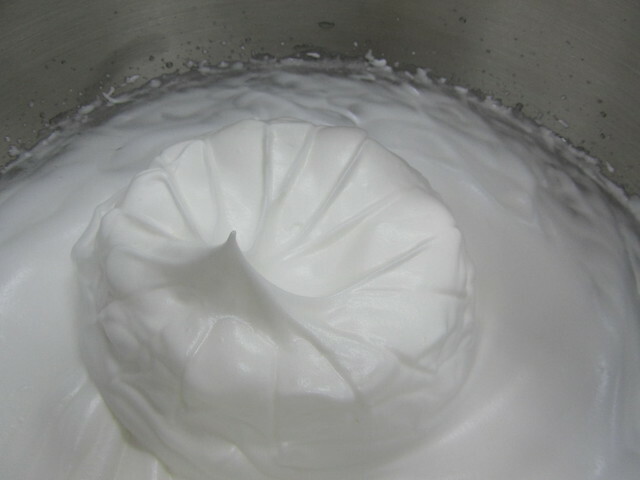 Loretta made it look so easy when she whipped up a batch of sticky white (soon becoming pink) meringue, commenting on how important the timing was, and how one shouldn’t over fold (or under fold) the mixture – like I was going to know if I was over or under folding anything! 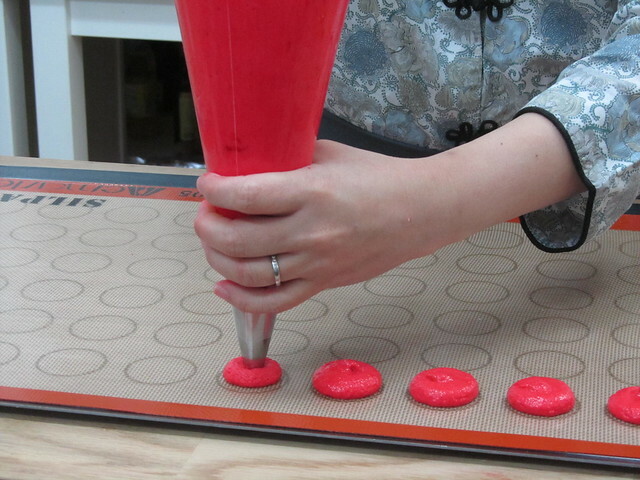 I never really thought about how macarons are made or how they get their lovely round shape, but on the way to the class we mused about this and wondered if there was some kind of mould or tin. It turns out the mixture is piped onto a Silpat mat using a template beneath. Loretta made it look really easy, but you should have seen the mess I got into. There was a certain flick of the wrist required to move on from one macaron to the next, which I couldn’t quite master, and I kept moving the nozzle around when it should have been still. 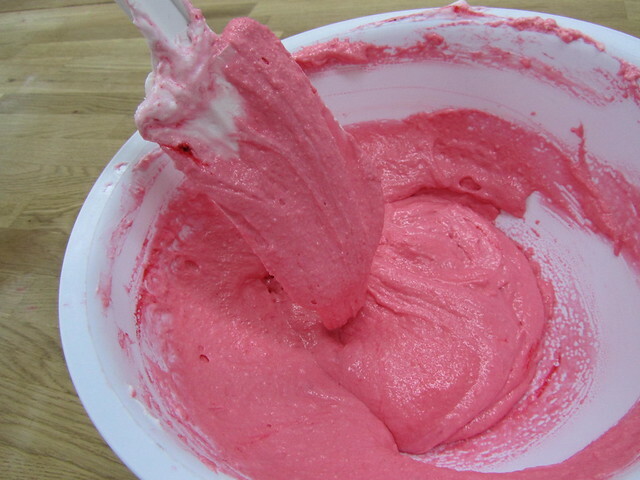 Mixing all the ingredients together was harder than it looked, and you needed to put quite a lot of strength into it. Loretta said it was important to not make macarons when you were feeling tired or grumpy, as this would show in the macarons, but I always find mixing really calming so I tried to put lots of happiness into my macarons. Taking a cooking class with friends is a really fun thing to do and, although I didn’t know everyone in the class at first, we all got along really well and had a giggle. I’m a messy cook, and I tend to eat as I’m cooking, but I managed to not make too much of a mess and only licked my fingers a few times (not the bowl!). 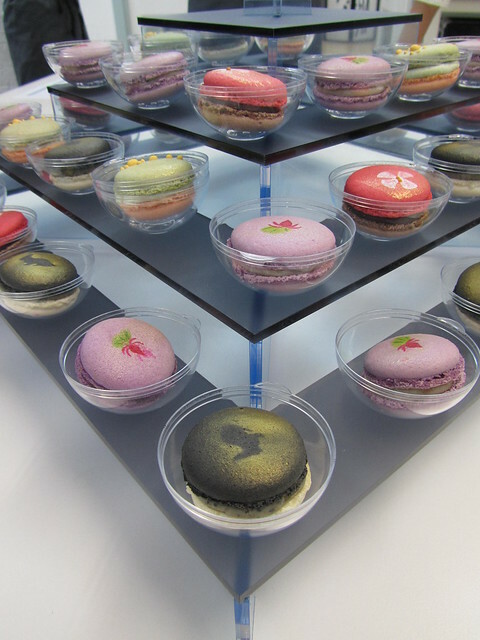 Finally, my macarons were piped and ready to go! 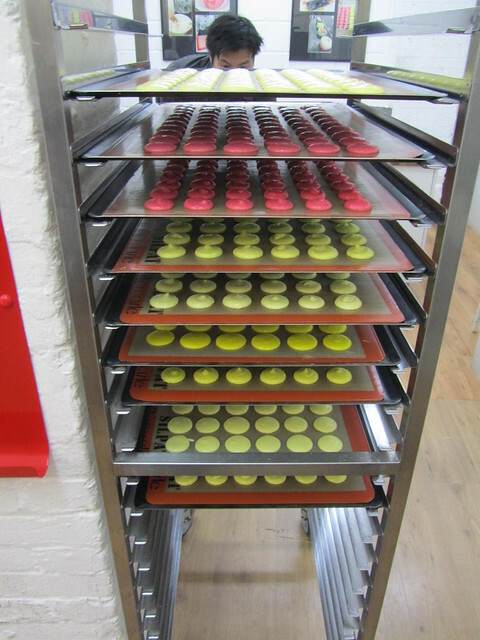 Our macarons all got put into this shelf on wheels to be taken to the oven and baked for about 10 minutes. 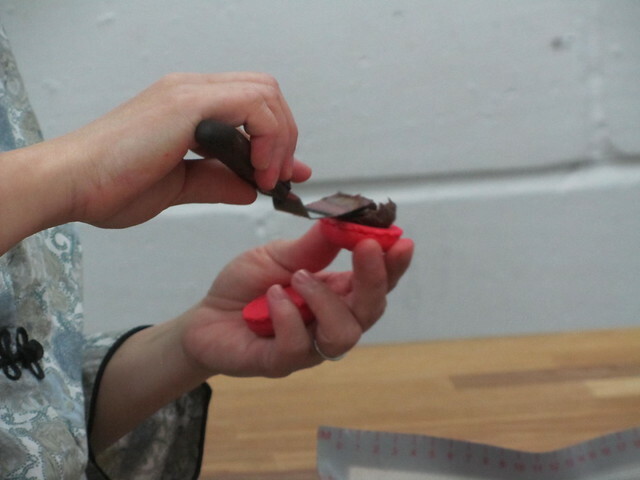 While the macarons were baking, Loretta showed us how to prepare a ganache filling – mmmm… chocolate! 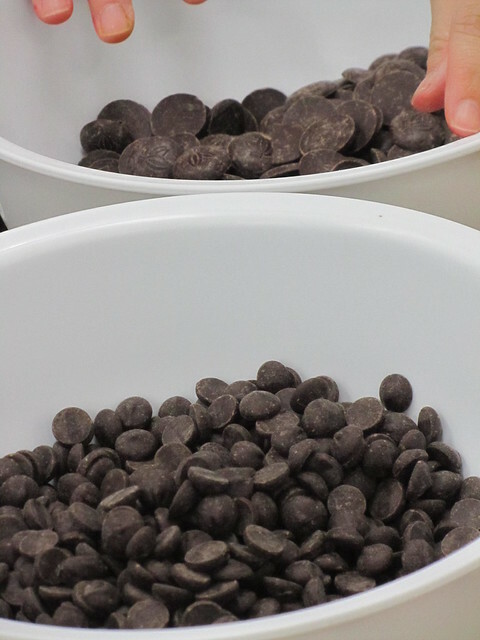 Two kinds of chocolate were used, and it was really good quality, sustainable and environmentally friendly chocolate. 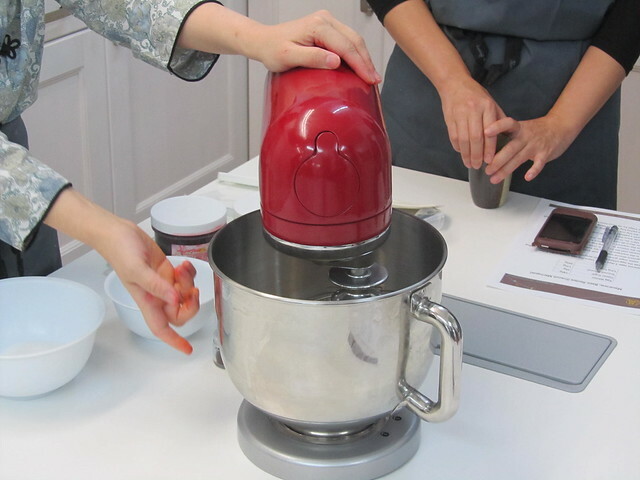 Loretta told us that chocolate really shouldn’t be cheap, and that it was important to use a good quality chocolate such as Green and Blacks when making ganache. 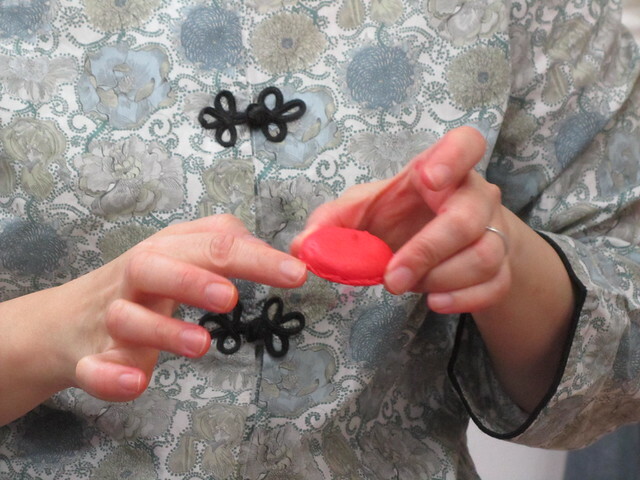 When our macarons were ready, Loretta did a little analysis of our efforts, explaining that some of us (including me) had been too slow and that was why there was this ‘skirting’ around the bottom of our macarons. Some people really seemed to have got the hang of it, and I don’t think any of us did that badly. 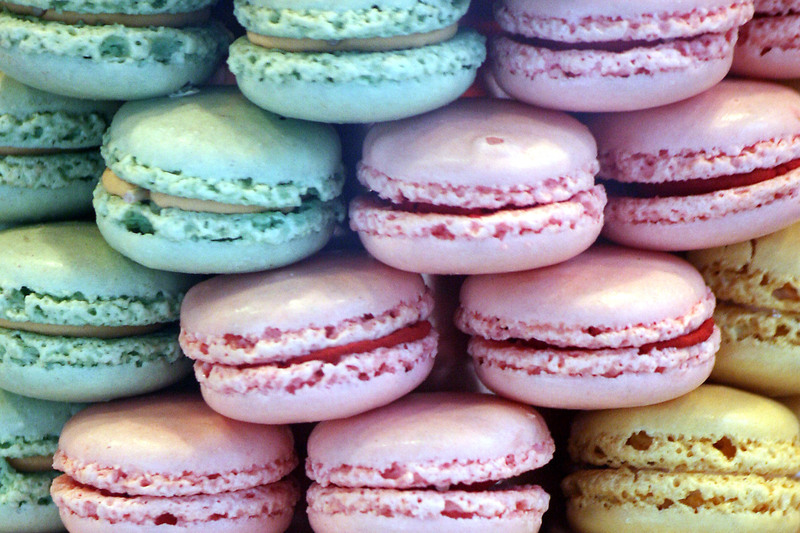 Once the macarons were cool, they could be filled with the ganache. Here’s one I didn’t make earlier! 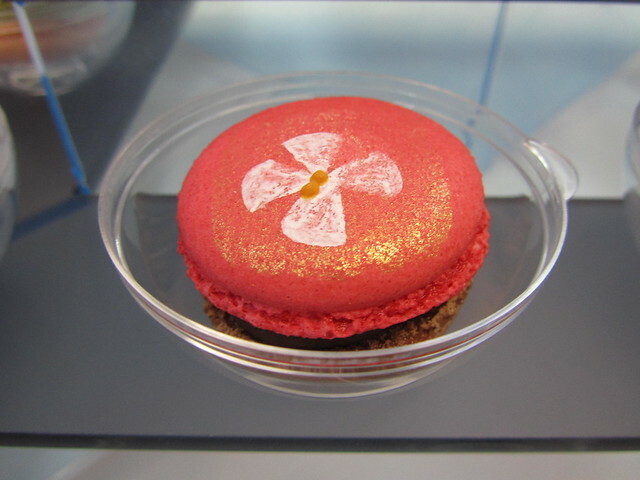 Macarons are not cheap, and I always thought it was just because of the beautiful decoration. 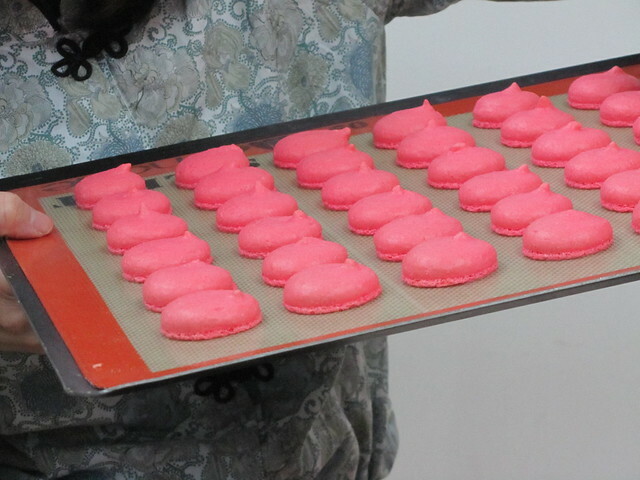 However, yesterday I understood the real reason – there’s a whole lot of skill, knowledge and strength that goes into making macarons. The class we took was a beginners class and, although all of our macarons were edible and looked ok, they wouldn’t pass for the real thing. Loretta commented that it was fundamentally important to learn the basics before attempting to try anything more advanced (a philosophy you could apply to many things in life) and, with that in mind, I think it’s safe to say I have a lot of practice to do before anyone will be getting homemade macarons in their Christmas stockings! 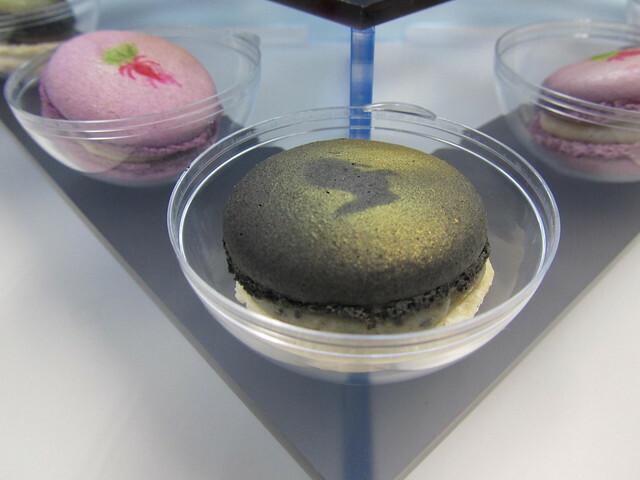 On Cafe’s macarons make wonderful presents – an unusual alternative to a box of chocolates. They’re available to buy from their website: www.oncafe.co.uk, and on the site you can also find out more about the macaron making classes at On Cookery School. 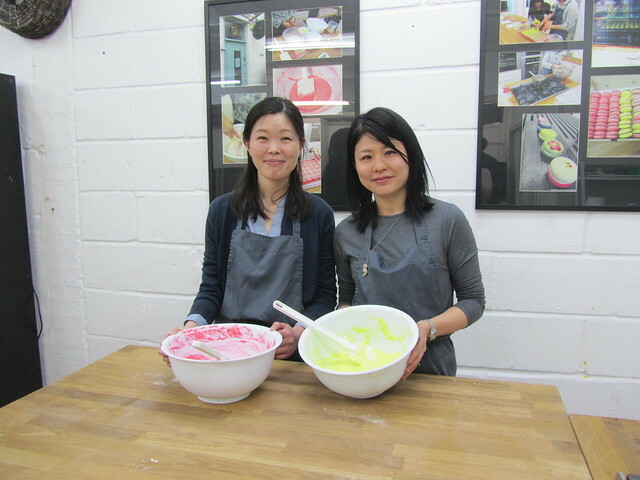 A beginners class costs £80 and lasts two and a half hours, and they also run advanced classes and French eclair classes. I really would recommend the class as a fun thing to do with a group of friends (and it’s not just for girls!). 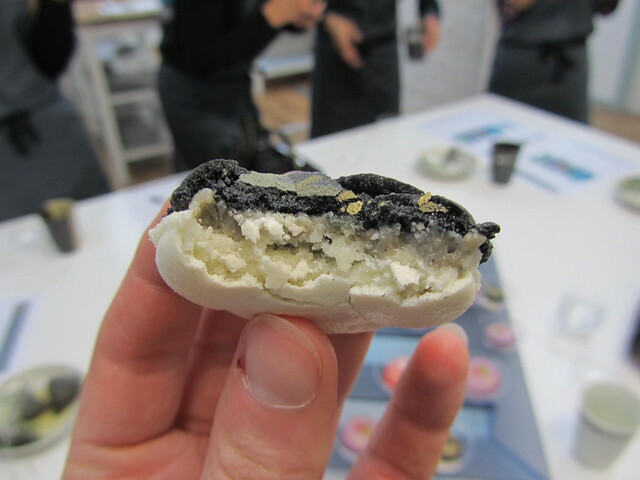 On Cafe and On Cookery School will be at Hyper Japan 2012 Christmas which is on from 23rd – 25th November at Earls Court, London. 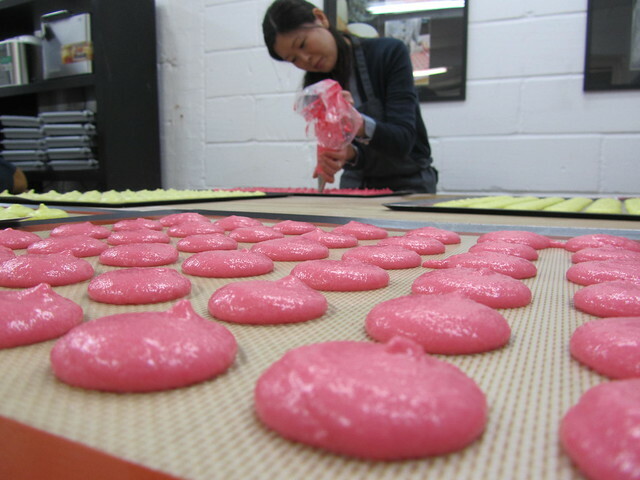 Loretta will be giving some macaron demonstrations at Hyper Japan, and you will also have the opportunity to stock up on unique, tasty Christmas presents. There will be some special Christmas macarons, which I hope to be announcing the details of on this site very soon! I’ll look out for them at Hyper Japan. This looks intense. I love macarons! My favorites are the ones at the Bouchon Bakery in Napa, California. Omg those look soo good! I’m definitely stopping by at hyper japan. I’ve never tried macaroons outside of France so looking forward to this 🙂 btw I’ll be working at reception, so come see me! i would love to take a class like this!